This issue of GEO, the theme of which is Education, is a double issue. Twice as many articles comprise it than we usually publish, and we hope it offers you twice as much value. Having an abundance of capitalistic and individual instruction that justifies obscene wealth alongside astronomical lack, clearly we all need information and education on how to create another world where people don't starve, everyone has meaningful work, and the planet's mountains are not cut up, nor its waters polluted, nor land ravaged. Now we need education on alternatives, how to put our ideals in practice, how to stimulate and develop our innate capabilities to expand on what is good and right in the world. This is essential in the worker cooperative world. Education is one of the cooperative principles and it is vital to ensure that members of cooperatives and other alternative economic ventures understand what is going on in their cooperatives or collective organizations, and the world. kiran nigam, a teacher, writes about how education in a traditional school can be made more democratic. Brahm Ahmadi writes about how his work at People's Grocery in Oakland is helping to educate and build for community empowerment. This thoughtful piece includes a profile of Nikki Henderson, a young African American who is now driving the organization. Stu Schneider, a manager at the New York-based Cooperative Home Care Associates, reports on the country's largest worker cooperative. GEO's co-editor Michael Johnson writes about the formation of a New York co-op network and the issues they are struggling with. He also brings his 30 years of living and learning from experience in an intentional community on Staten Island, New York to bear on a process that he has developed to help individuals and groups to better work together called the C-PARADIGM. We get a little indoctrination of our own on how to work through issues in our individual dealings, within our organizations and hopefully our movements. NASCO's Mingwei Huang writes about NASCO's work that teaches those who live in university and community housing cooperatives primarily how to learn about other people and how to build an anti-oppression mindset. NASCO is doing some of the best work in the country around race, gender, class, and able-ism. Mingwei also shares NASCO's incredible resource list. Esther West writes about the educational process at Equal Exchange. Sonia Pichardo writes about graduation at Green Worker Cooperative, a Bronx-based incubator of cooperatives. As the incoming training coordinator at GWC, she includes an article about worker co-op myths. Andrew McLeod discusses an MBA-equivalent masters program offered at St. Mary's University in Halifax, Nova Scotia, and his experiences visiting Mondragon. GEO co-editor Len Krimerman is interviewed about innovative educational institutions and how cooperative ideas are flowing at the University of Connecticut and the development of nearby community projects based on cooperative principles. Hazel Corcoran, executive director of the Canadian Worker Co-operative Federation, writes about the experiences of Canadians formal cooperative education in a country that has a lot more experience with cooperatives than the U.S. Equal Exchange worker-owner Aaron Dawson reflects on how education has inspired action since the August Eastern Conference for Workplace Democracy. 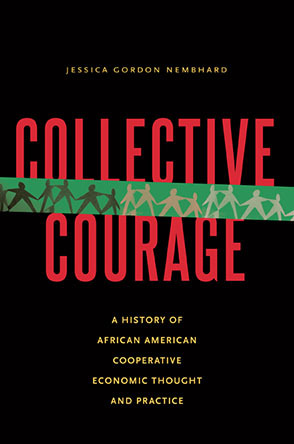 He also add a personal touch on the subject of cooperative education by writing about the wisdom passed down from his father, Steve Dawson, also a cooperator and who wrote some prophetic words for GEO's predecessor "Changing Times" 30 years ago. Erin Rice's first "Organizing in the South" column premieres with issues that came out of the New Orleans worker cooperative conference in 2008, and in one case, how they find expression in 2010. Mary Hoyer writes a remembrance of one of the employee ownership movement's greatest educators, John Logue, a professor who started the Ohio Employee Ownership Center at Kent State, which helps workers to take control of companies and helps to educate them and many others in the process. We also include a remembrance of Julie Graham, an influential alternative economics acivist who recently left us. And finally, a list of Resources for more education and expansion. Education is key to our individual growth, our movement, to meeting ever-new challenges. We hope that this double issue will give you new ideas, more energy for creativity, and spur action that will help us to build a world where people have work that they love, and where they love their work. We would also like to thank the contributing writers. And a special thanks to the photographers (and the writers who contacted them): Leyla Rosario, Vanessa Bransburg and the unnamed photographers, and others who helped us obtain photos. This issue of GEO is visually richer because of your work and creativity. We also thank others who helped in small ways: Mary Hoyer for her contributions to the resources list, Rubie Coles and Jessica Gordon Nembhard for resource opinions. We would also like to encourage you to visit us at www.geo.coop and contribute to the online dialogue. Photo above courtesy of Equal Exchange, special thanks to Rodney North. There's a lot going on this year in solidarity economics - be sure to check out our updated calendar of events. Get involved with GEO! If you have articles, pictures, or graphics on worker cooperatives and solidarity economics that you'd like to contribute, we want to hear from you.